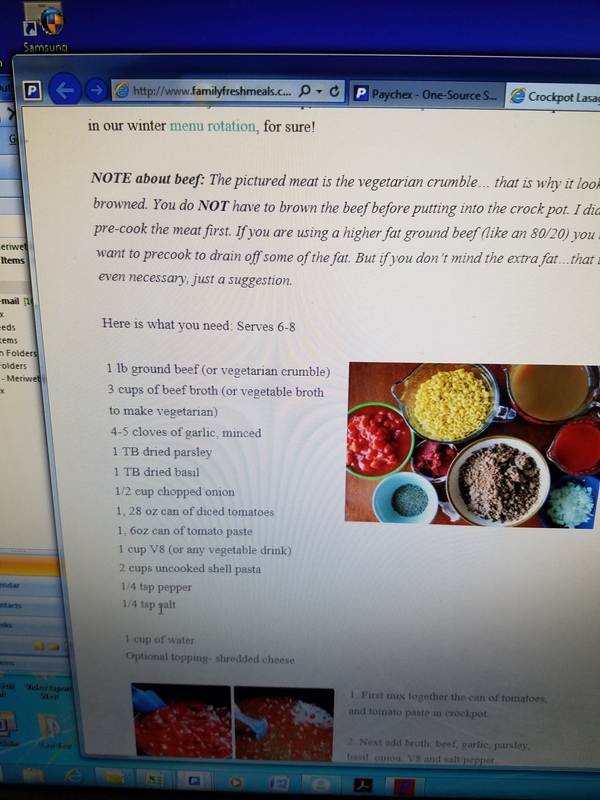 I used veggie crumbles and veggie broth, I also used store bought spaghetti sauce I had in the cupboard to replace the tomato sauce and the v8 juice. 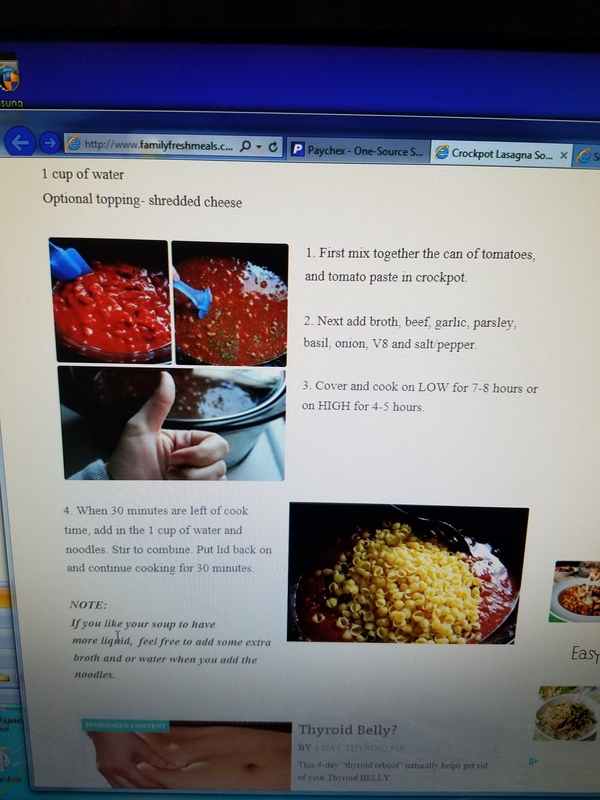 I wanted to make the meal as inexpensive as possible so I used everything I already had, all I bought was a can of diced tomatoes and shredded mozzarella cheese to put on top afterwards. 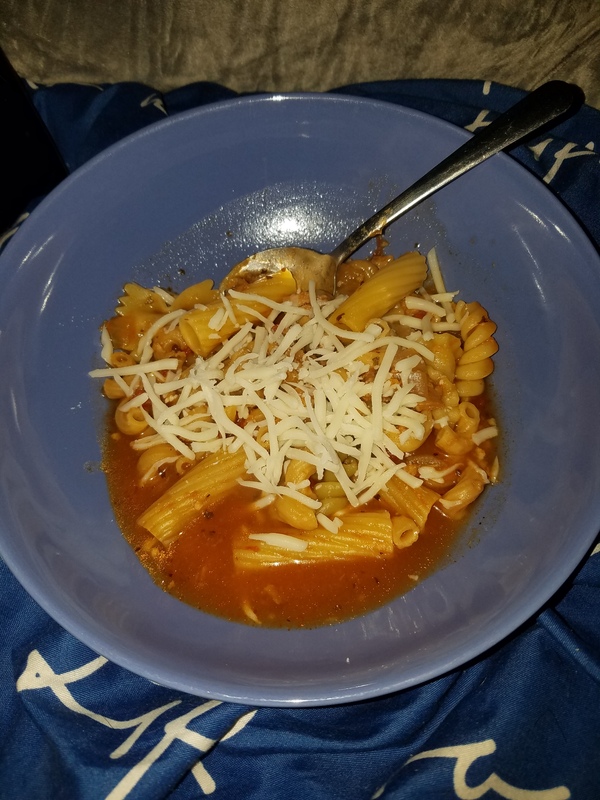 I followed the directions and put everything in the slow cooker accept the pasta and cheese and turned it on high. 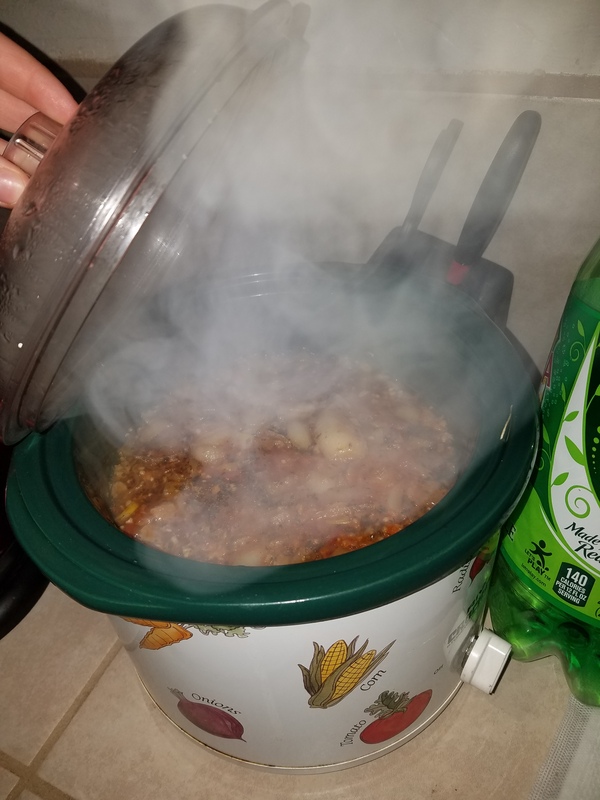 It says to let it cool for 4-5 hours but since my meat is veggie I put the noodles in after about 3 hours then let it cool an additional 45min. 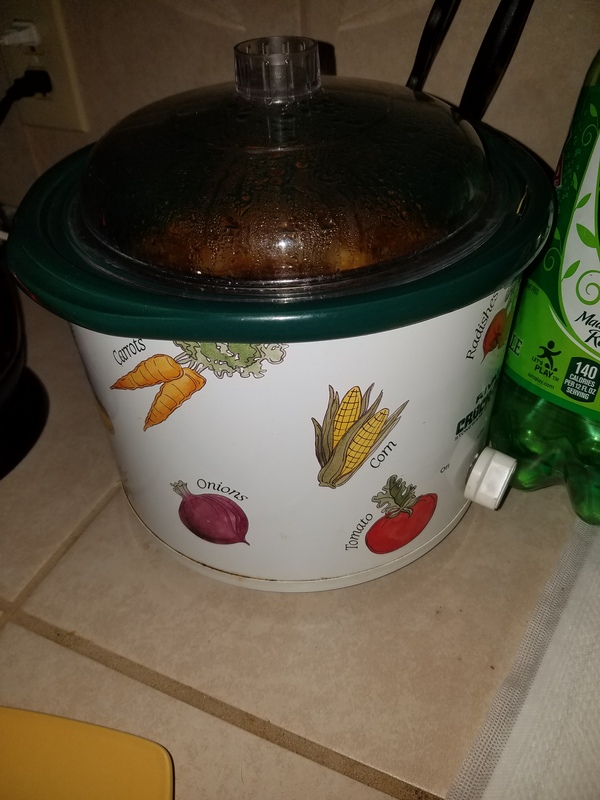 My adorable little crockpot, perfect when meal prepping or cooking for two. It is a little blander than I would like but pretty good. I am excited to keep working on it, I know with a few tweaks it’s gonna be awesome!!!! After taking this to work and reheating it, I ended up throwing most of it away, the noodles were sooo mushy when sitting for a few days and reheating them. And instead of the flavor improving it got more bland or something. IDK, it did not work for me, I will stick to making real lasagna because that keeps very well for meal prep.